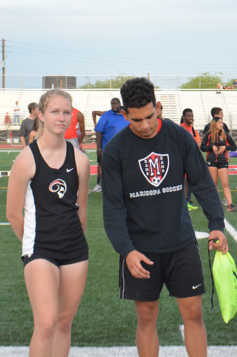 The MHS girls’ team finished fifth. 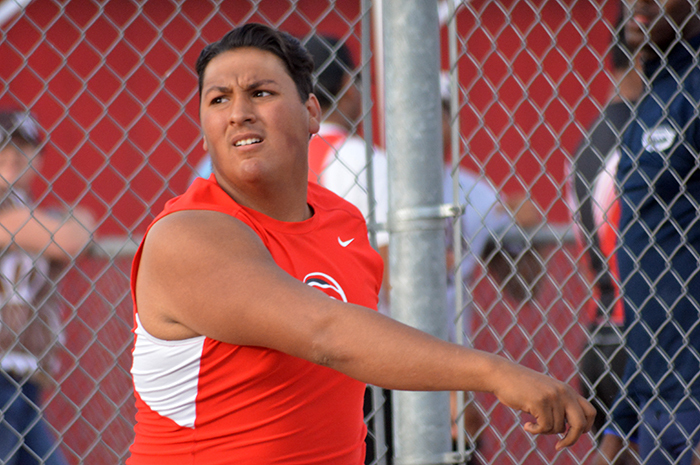 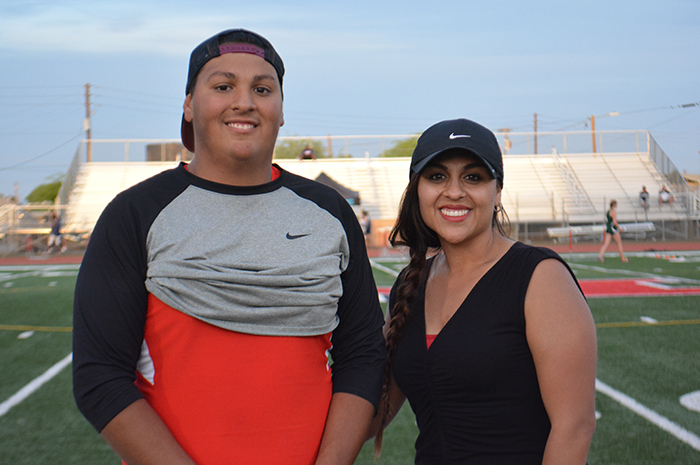 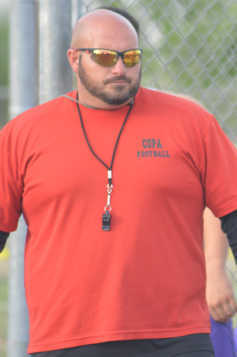 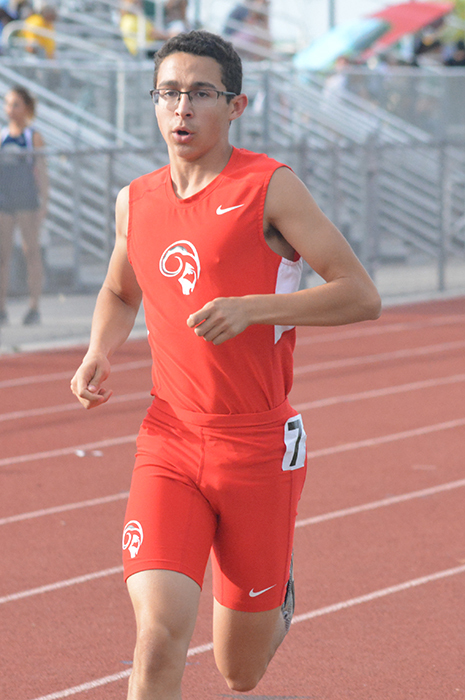 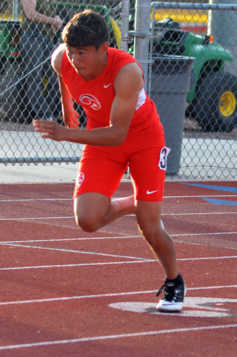 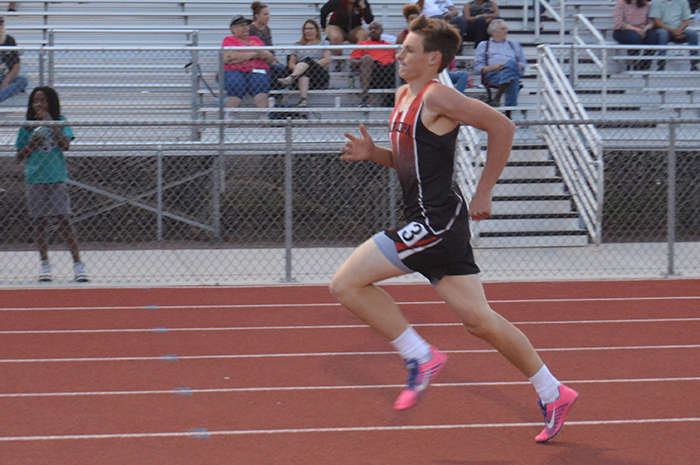 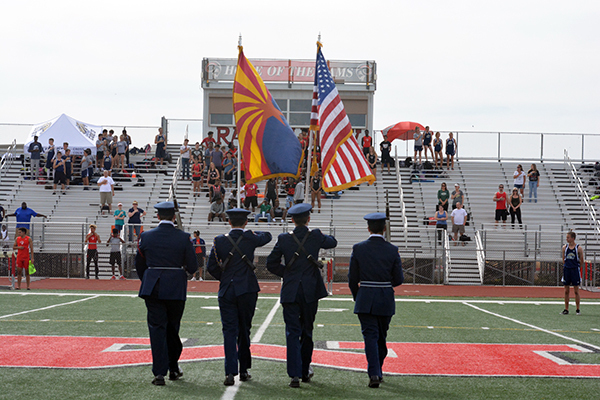 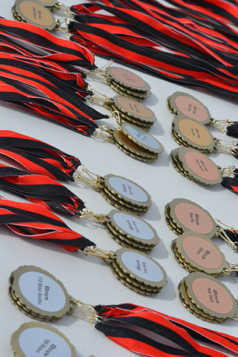 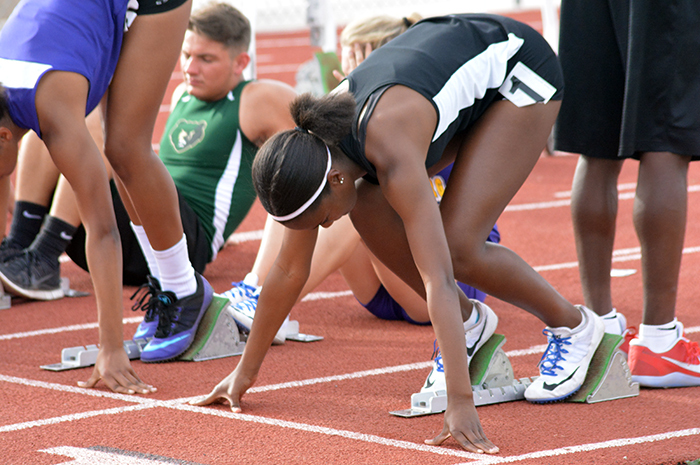 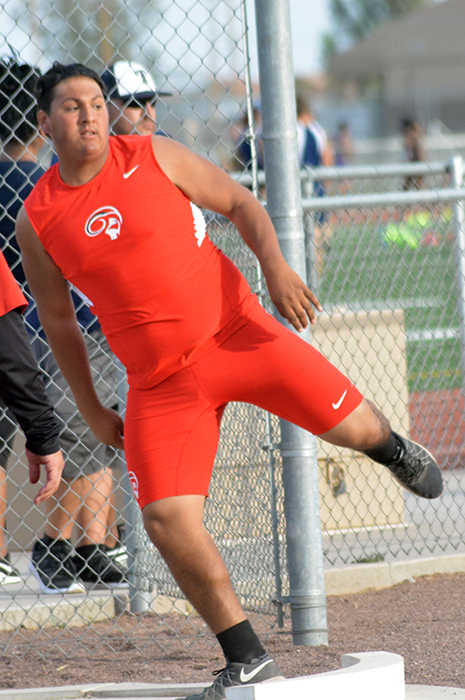 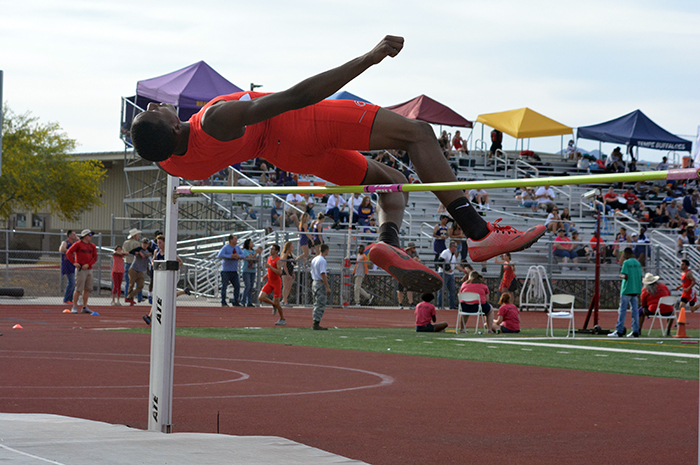 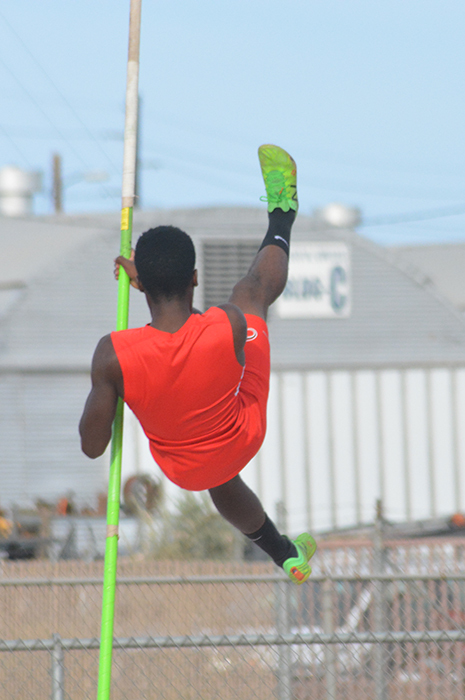 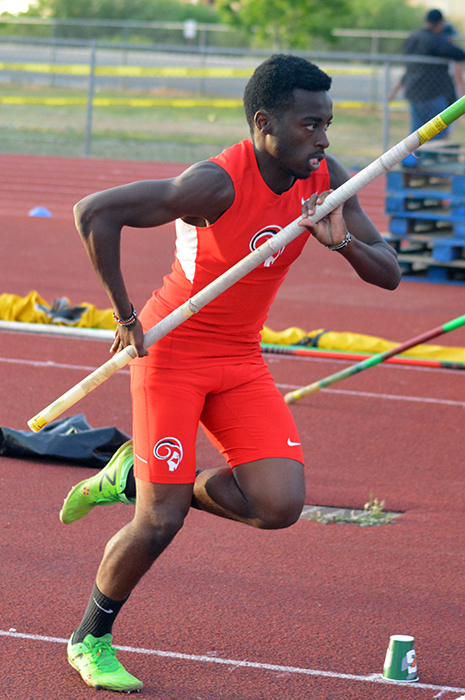 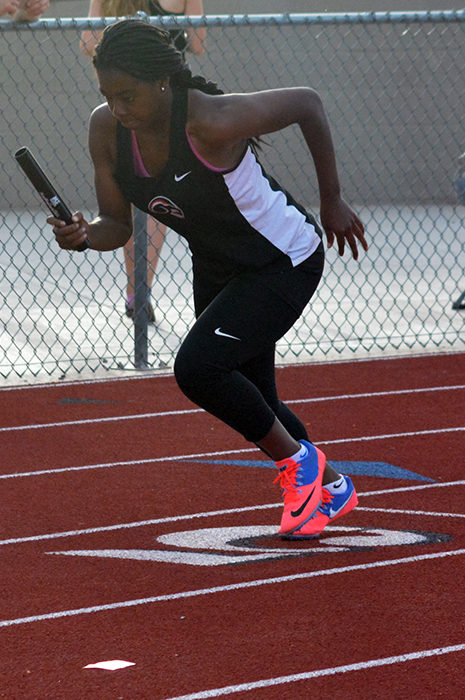 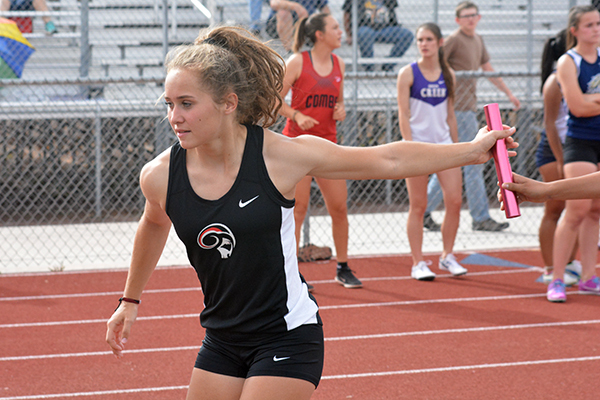 The athletes posted 37 personal bests during the competition at Ram Stadium. 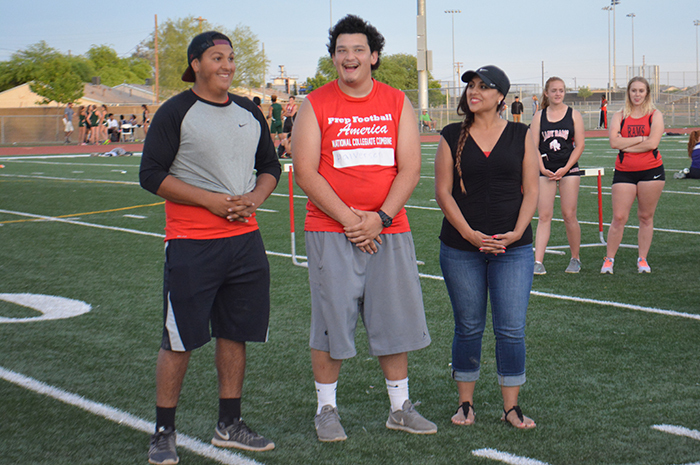 The event also served as Senior Night for the team. Junior Phillip (P.J.) 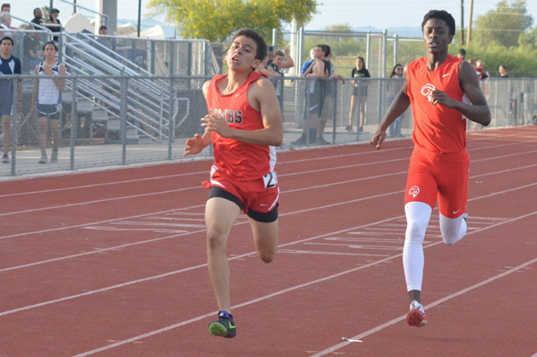 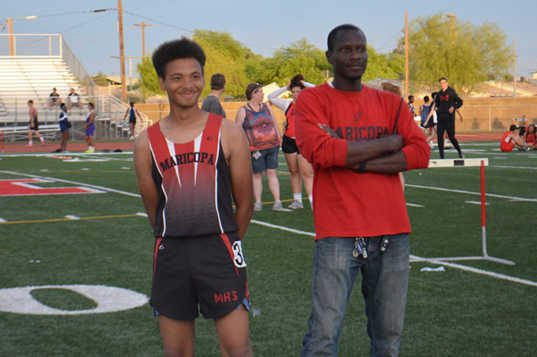 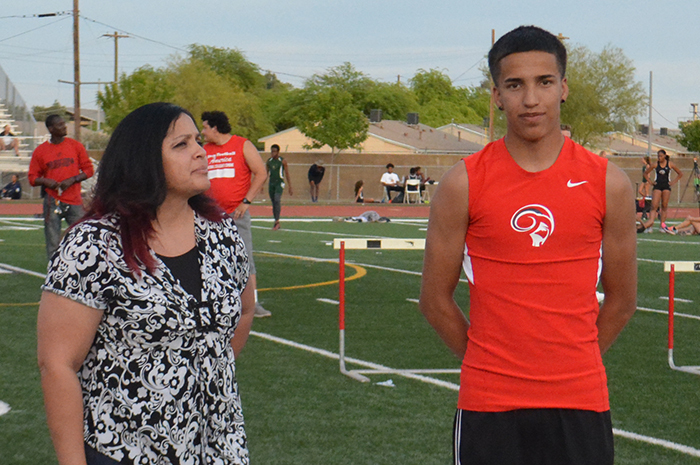 Austin and senior Terrell Handy picked up three gold medals each, competing individually and in relays. 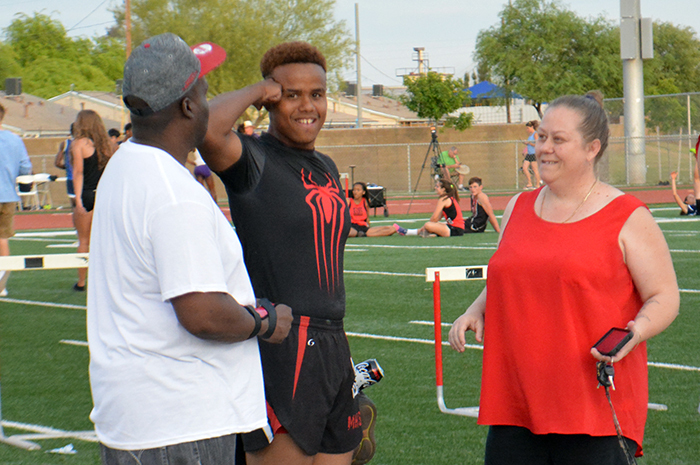 Frank Jones earned two golds and a bronze. 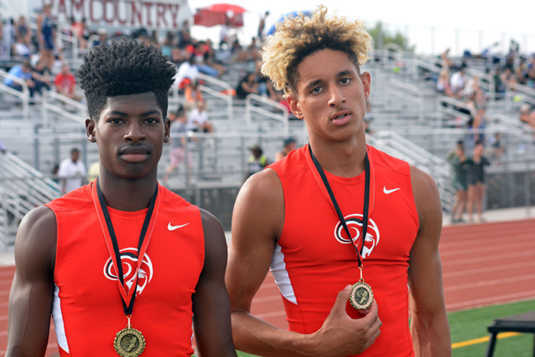 Kyle O’Hare and Longman Pyne also won two events apiece, and Darrell Handy picked up gold, silver and bronze. 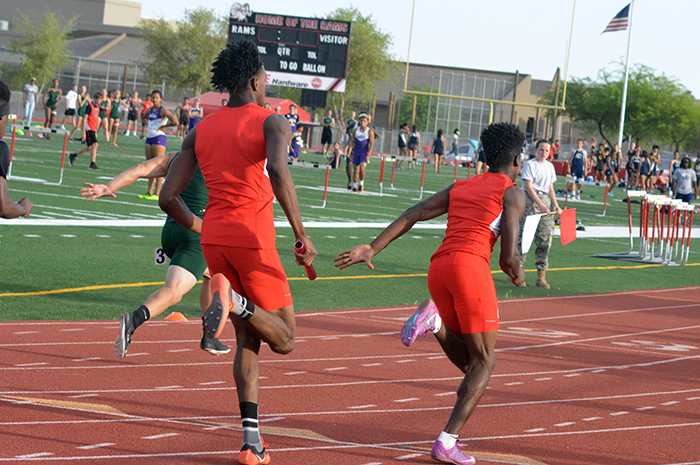 Austin won the 100-meter dash in 11.25, while Jones placed third. 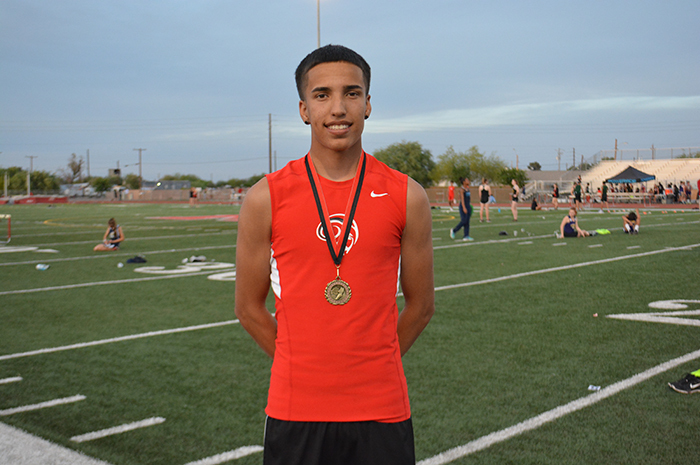 Austin also won the long jump with a personal record 22-3.5. 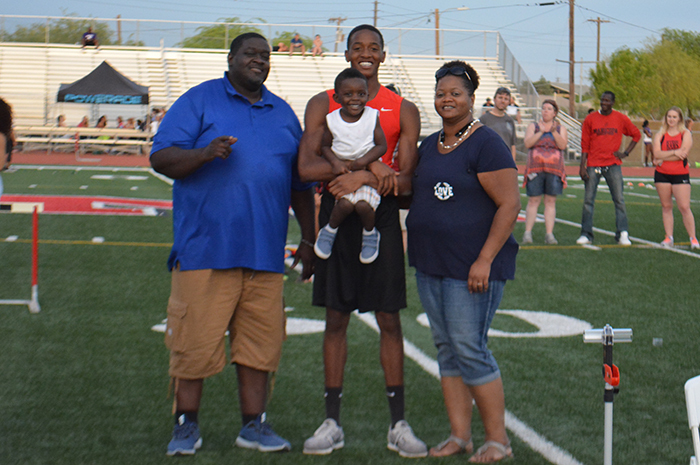 Jones turned around and won the 200-meter-dash in a personal record of 22.90. Both were part of the victorious 4X100-meter relay team with Darrell Handy and Longman Pyne. 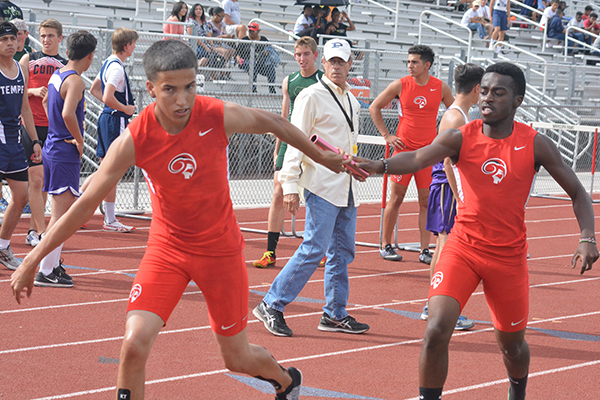 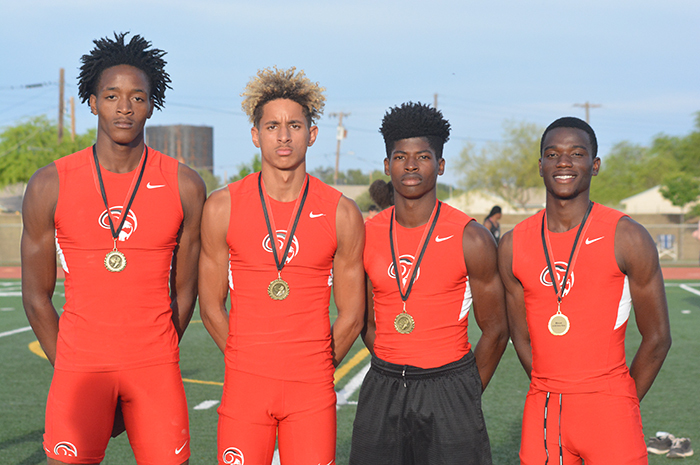 Pyne joined O’Hare, Terrell Handy and Chris Singh in winning the 4×400-meter relay. 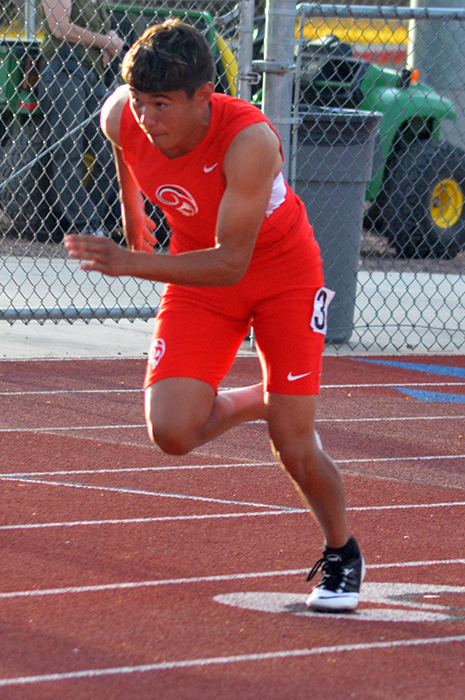 O’Hare posted a personal record in winning the 400-meter dash in 50.96. 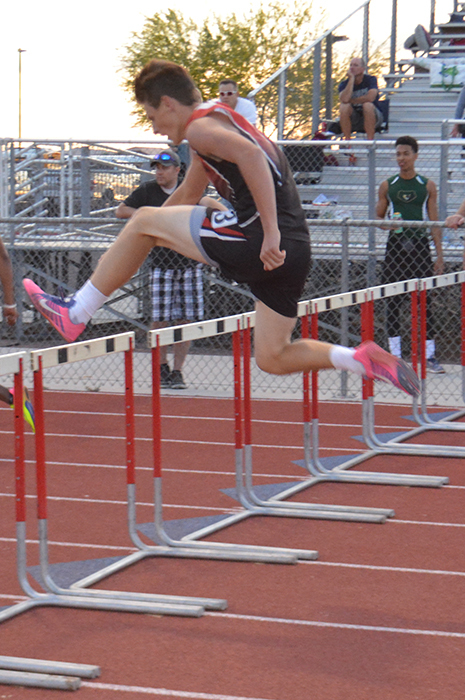 Logan Taylor won the 110-meter high hurdles in 16.10, a personal best for him. 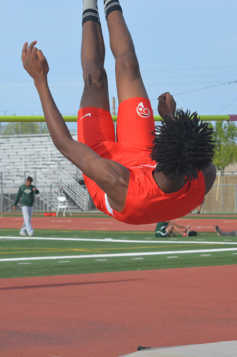 Terrell Handy won the triple jump in 44 feet even and the high jump in 6-foor-2. 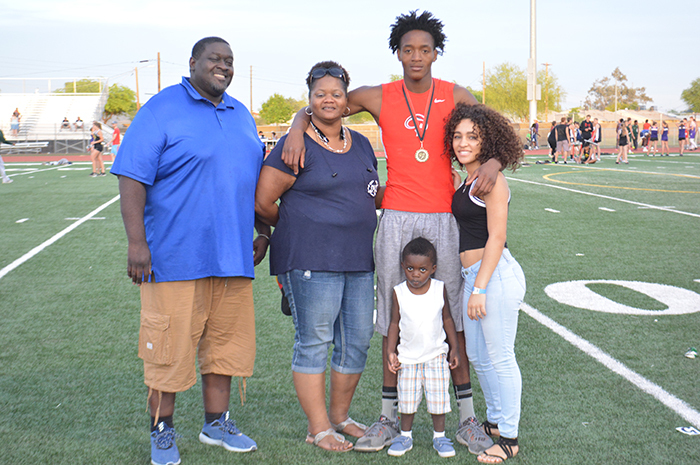 His brother Darrell was second in the high jump and third in the triple jump. 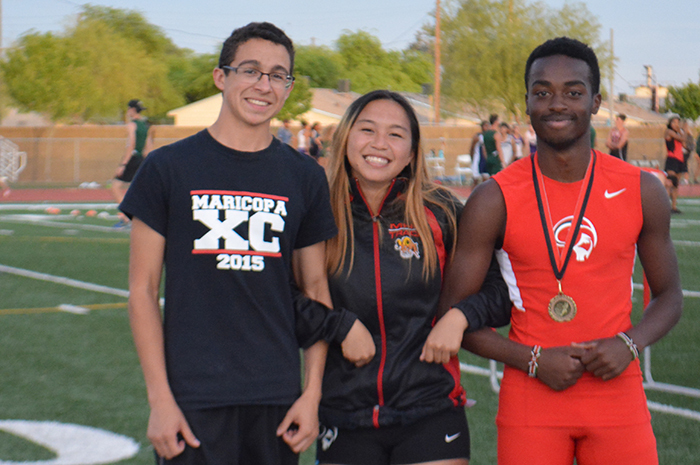 The 4×800 relay team of Singh, Mark Mwangi, Sam Coles and Josh Valdez placed third. 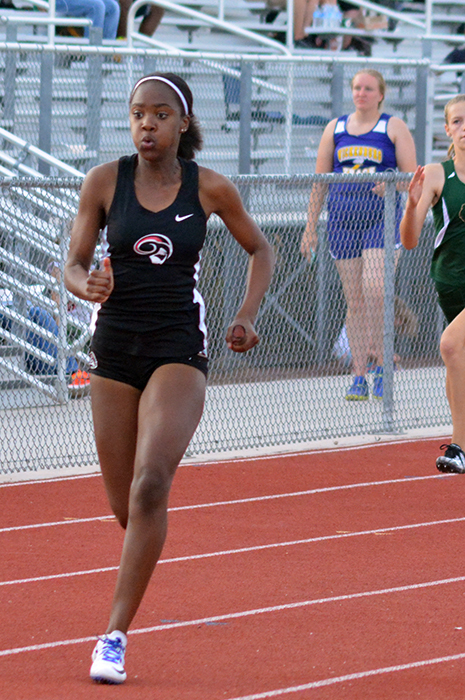 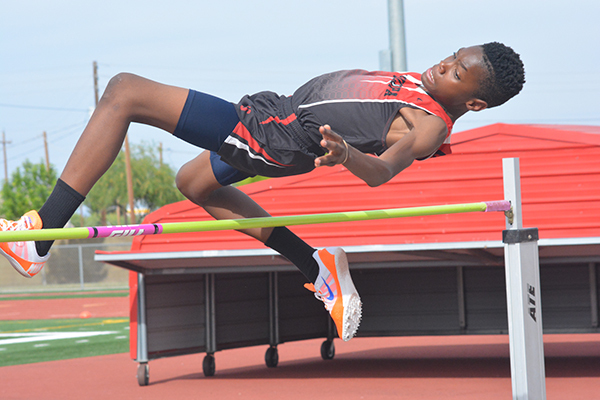 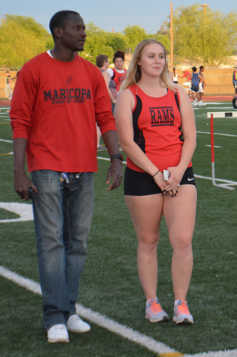 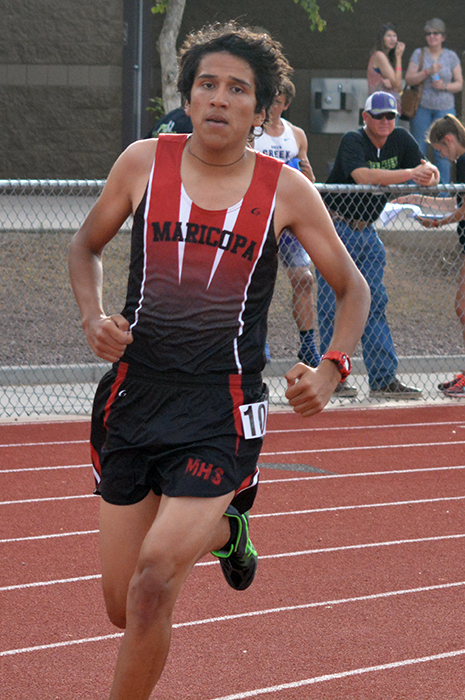 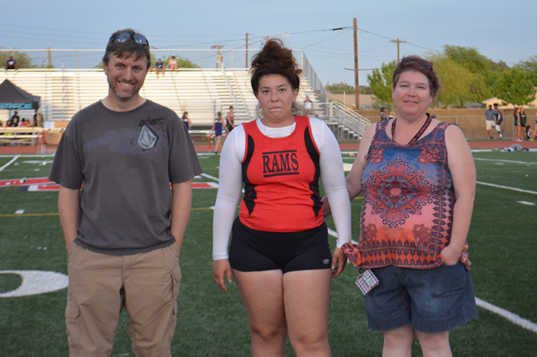 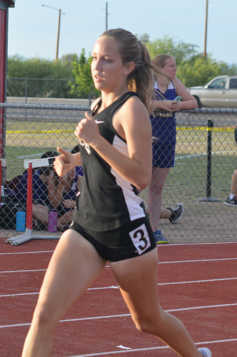 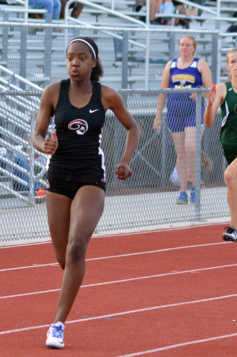 Among the Maricopa girls, sophomore Kayla Boich walked away with two silver medals. 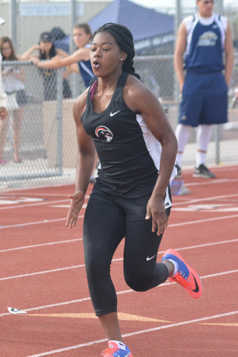 She finished second in the long jump and was part of the second-place 4×100 team with Sydni Callis, Destinee Chavis and Saneya Cowing. Sophomore Shannon Coutre was just off her school record in the 400 but finished second in her season-best time of 1:02.89. 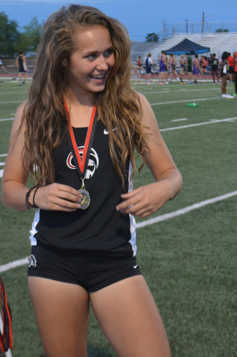 Italy Brookshire earned bronze medal in the high jump.